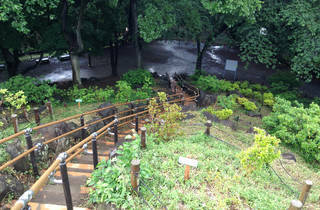 This city park is divided into two separate areas, namely the western Okubo section and the eastern Mount Hakone part. The former is smaller and livelier, hosting the Shinjuku Sports Center and a park information centre, as well as functioning as a hang-out spot for students from nearby universities. 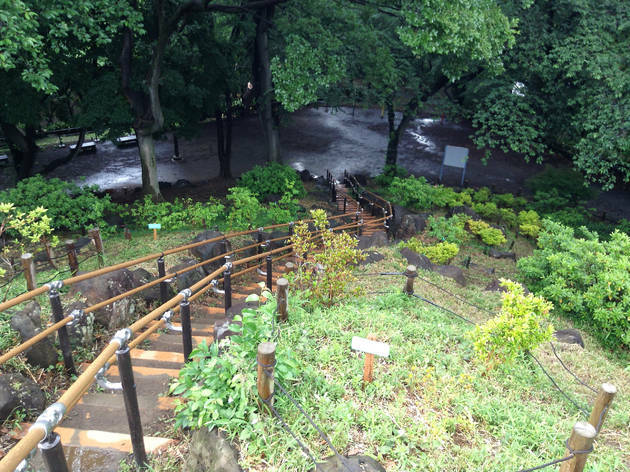 The Hakone side is more quiet and features spacious grounds for sports like baseball and football, of course in addition to Hakone-san itself, the tallest mountain inside the Yamanote Line loop. The 44.6m hill is especially popular in spring, when cherry blossoms colour the park pink and white.